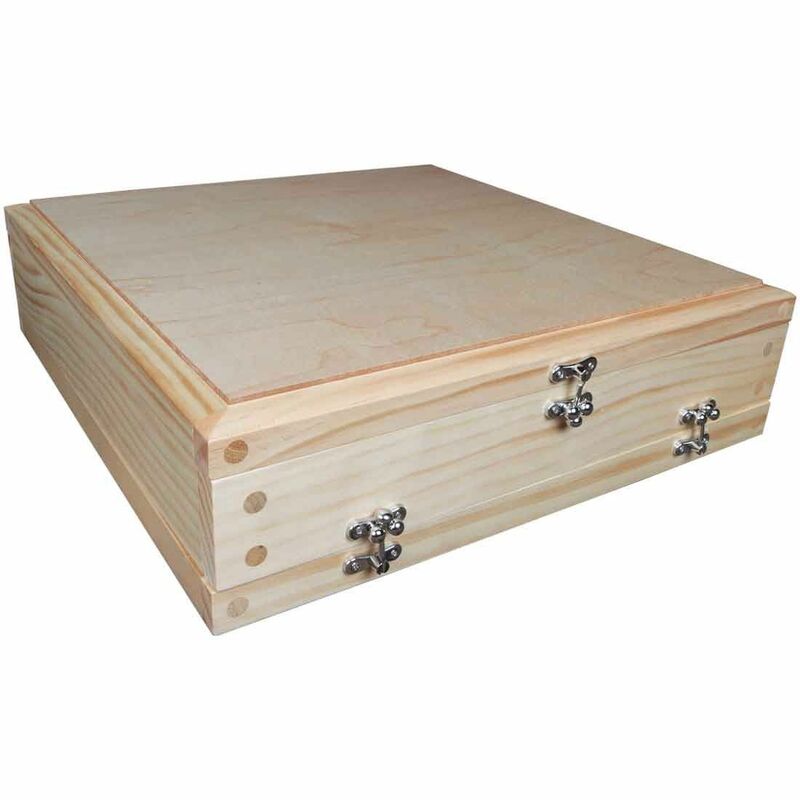 The 15 x 15 RYOT Natural Wood Growers Sifting Box is a massive storage/sifting box that can hold an impressive amount of dry material at a time. 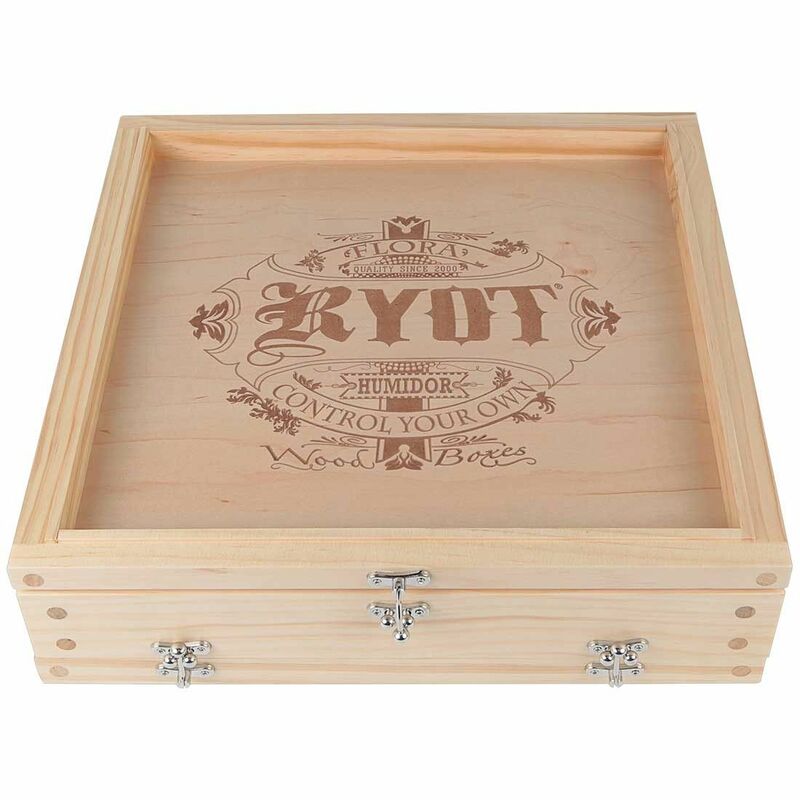 RYOT is already well known for their premium quality sifter boxes, this gigantic edition to their solid top box series sets them miles ahead of the competition. 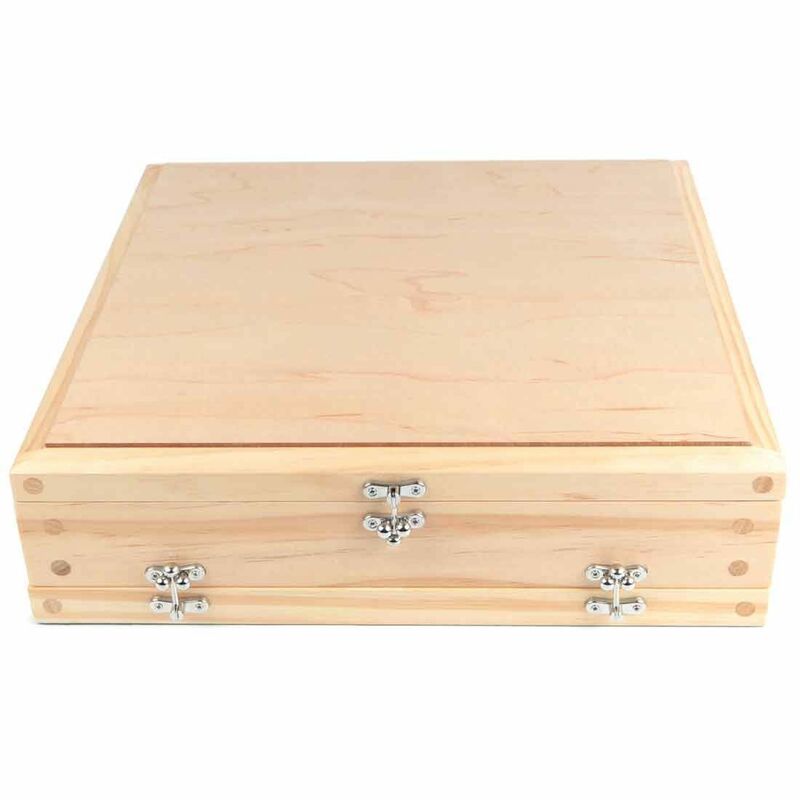 This innovative box is made up from a three layer design that is each held together by a strong latched closure that will not easily open during the wrong times. 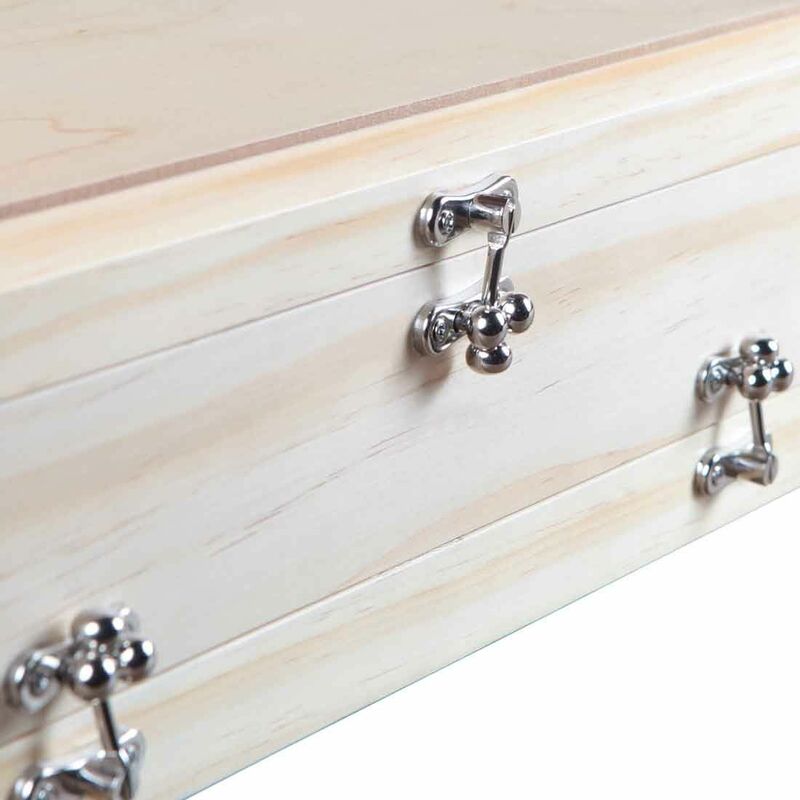 Each layer is also equipped with strong reinforced dowels that will prevent warping and keep your Growers Box like new for plenty of time to come. 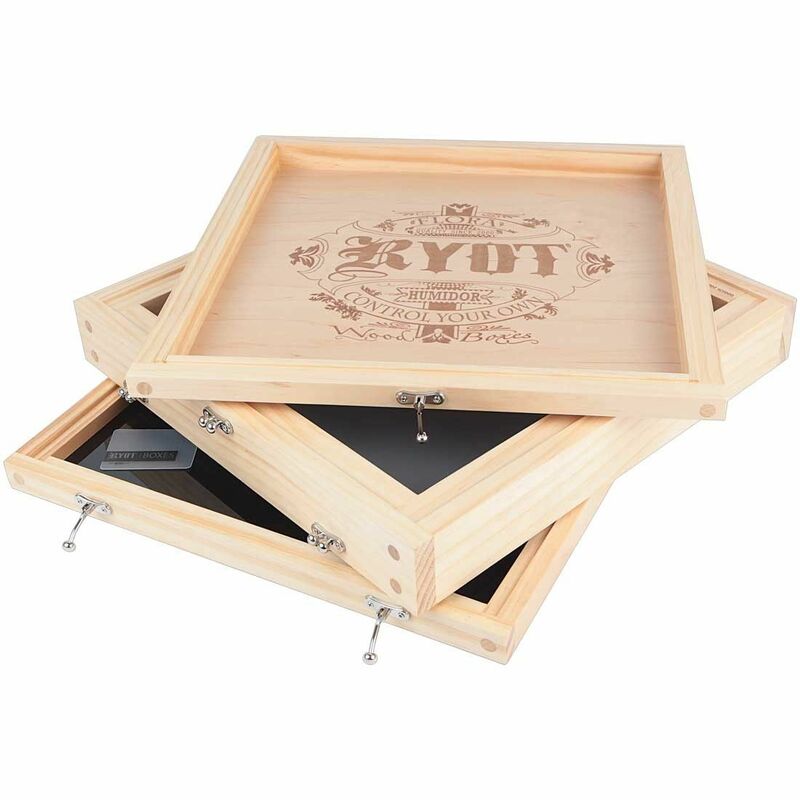 Inside the top layer of RYOT's 15 x 15 Sifter you will find their classic engraved branding that is packed with detail. This layer is not just for looks, flip it upside down and use it as a preparation tray to get your material ready for sifting. 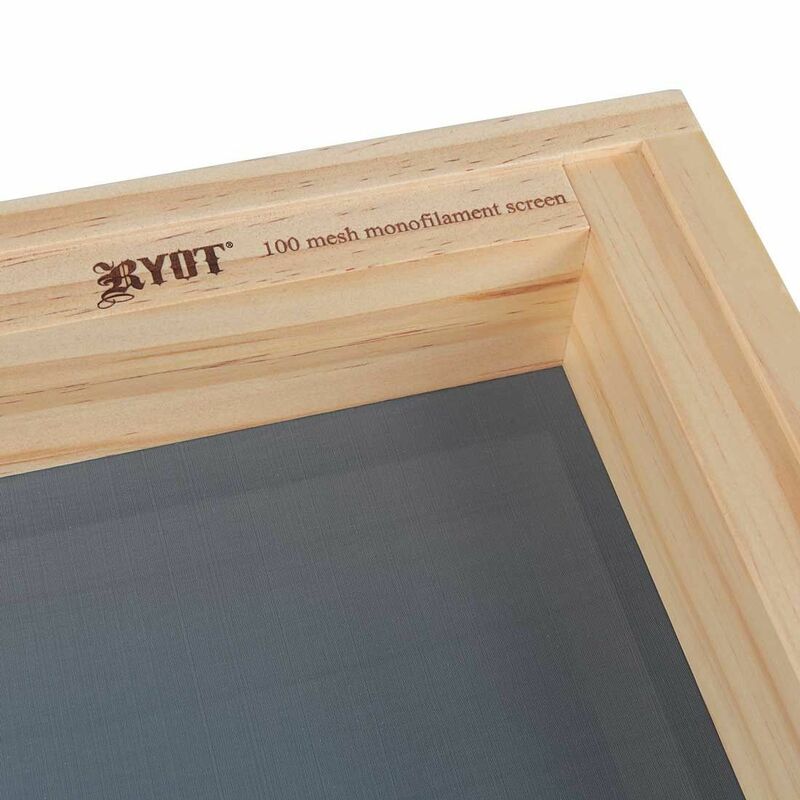 Drop down into the next layer and you will find a top quality Monofilament sifting screen that is both durable and quite effective. 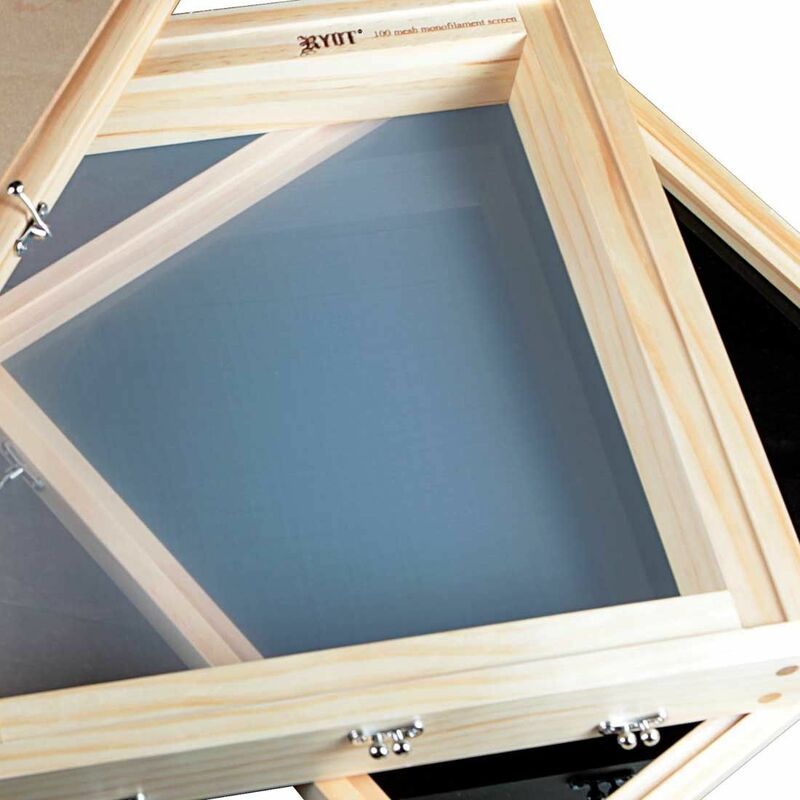 Store your blends on this long-lasting screen and in no time you will find the finest quality sift possible building up in the bottom collection tray. 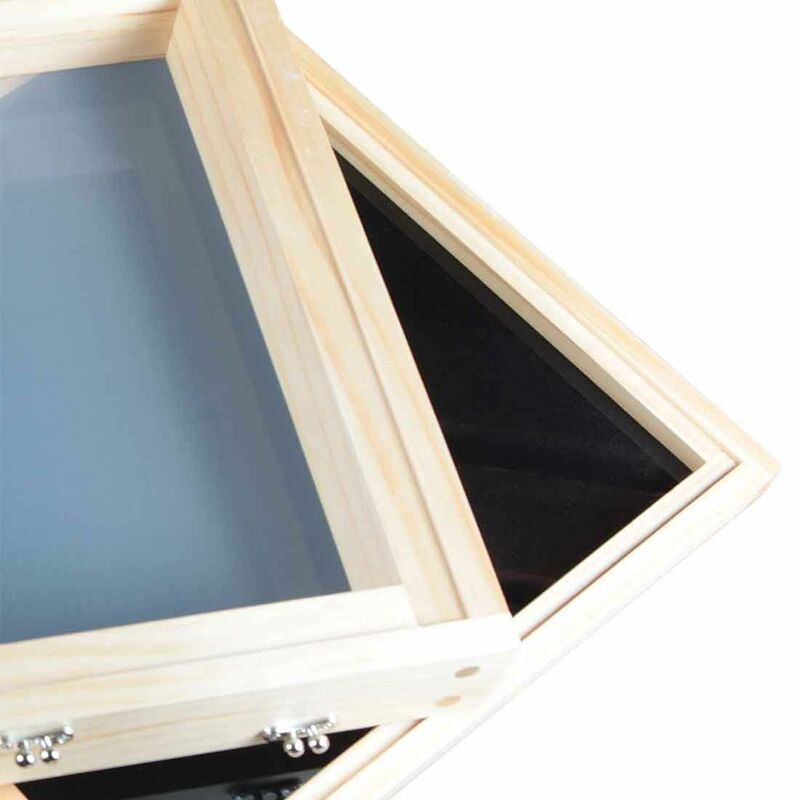 The sleek base tray sports a seamless glass design that ensures you are getting the absolute most out of your material. 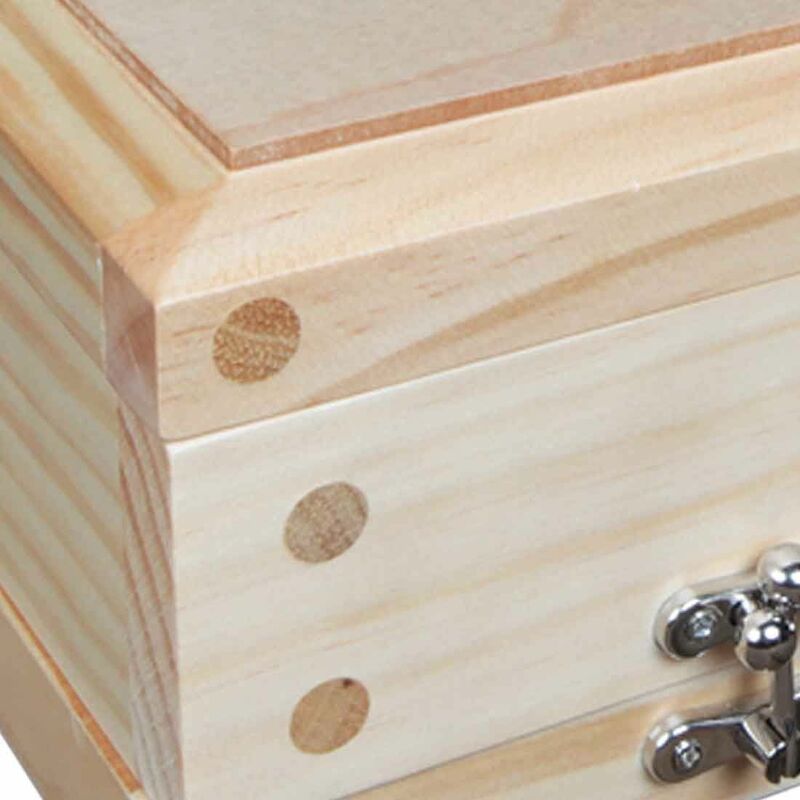 There are no divots or hard to reach corners that will trap your precious pollen, simply a large and seamless surface that will make removing every last bit a quick and simple process. 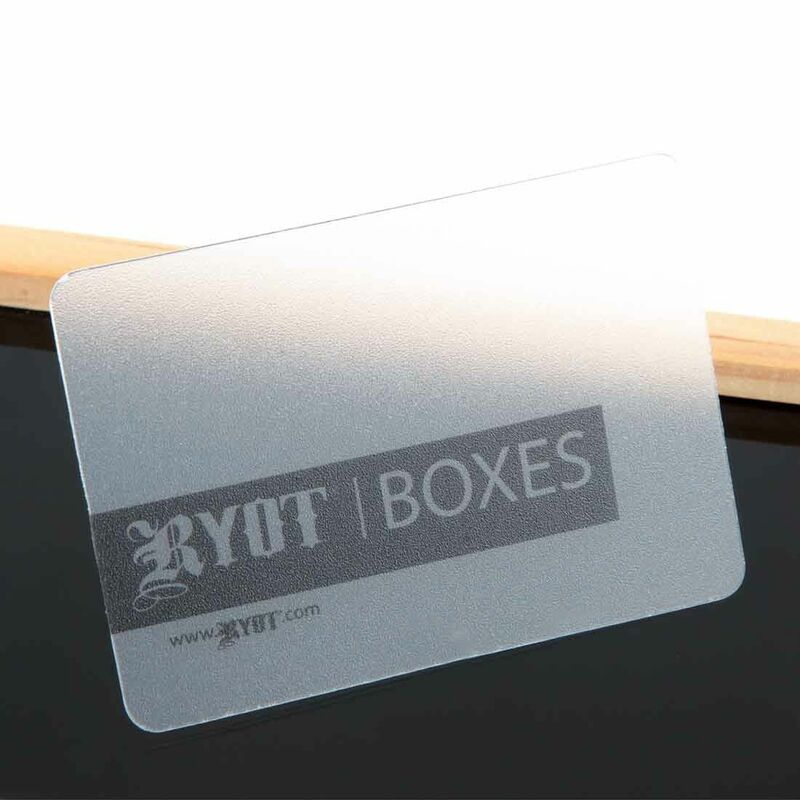 When that time comes use RYOT's included scraping card to guarantee you are removing every last grain, leaving absolutely nothing to waste.